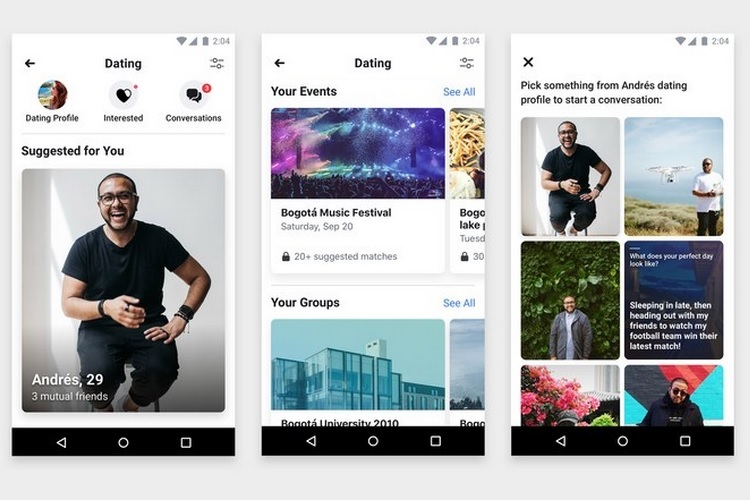 At the F8 developer conference earlier this year, Facebook announced that the company will soon launch a dating service integrated into its social media platform. Facebook began testing the Dating feature last month and now, the company has officially rolled out Facebook Dating exclusively for users in Colombia. Facebook Dating is a mobile-only feature for now and is currently available in the Facebook app for Android and iOS. Starting today, users in the South American country will be able to create a Facebook Dating profile, however, the service won’t show potential matches until the number of sign-ups has reached a particular mark. As revealed earlier by Facebook, the dating service will exist within the Facebook app, but an individual’s dating activities will be a completely private as the dating profile will be separate from users’ Facebook profile. In Facebook Dating, one can set up a dating profile, check out the nearby events and groups that are of interest to them, and sign-up for one of the events. Facebook will then match users with other people who are also attending the same event based on their interests and mutual friends. One can also start a conversation with another individual, however, the interactions will be ‘text-only’ as a safety measure. However, starting a conversation won’t be a straightforward process. In order to start a conversation, you have to first comment on a profile element such as photos of the person you are interested in, and if he/she chooses to respond to it, a conversation channel will open. 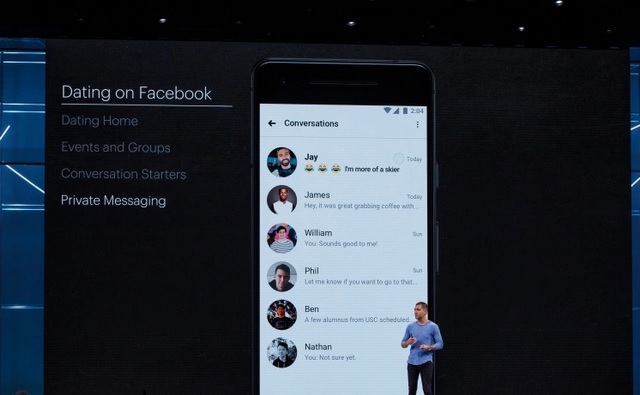 The messages exchanged between two people will be stored in a separate Facebook Dating chat section, and will appear in the recipient’s ‘Interested’ tab without any ‘Read’ receipt functionality. “The goal of the team is to make Facebook simply the best place to start a relationship online”, Facebook Dating’s Product Manager, Nathan Sharp, was quoted as saying by TechCrunch. Facebook’s dating feature is now live in Colombia, however, the company has not revealed any information regarding its wider rollout in other countries.